This article was published in RDH magazine. 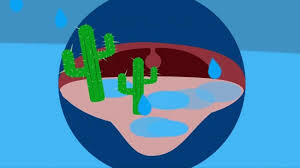 It gives a great overview of the problems associated with dry mouth and our growing geriatric population. The Silent Generation and baby boomers are getting older, and even those in Generation X are feeling the aches and pains of aging. Age and wisdom are often accompanied by health concerns and ailments treated by two, three, or more medications. These medications can contribute to xerostomia, among other potential side effects. Clinically we do our due diligence when we seat a patient and update the person’s medical history at every appointment. It never fails to surprise me how many patients do not know what medications they’re taking or for what reasons. I’ve learned through trial and error that my questions must be specific and include verbiage that pointedly asks about medications and surgeries. Often, in patients’ minds, “any changes” does not include changes unless they’re related to the oral cavity. Educating individuals about the oral-systemic link and whole body connection, and informing them about risk factors, are essential to help them think beyond what they were taught early in life. My grandmother was of the generation that went to the dentist only when there was pain, and her visits usually ended with the extraction of one or more teeth. In my clinical experience, the elderly tend to wait for pain rather than focus on prevention. Changing that mindset is not easy, especially when it’s combined with fear of the dentist. Long gone are the days when a medium or hard toothbrush was the standard, and I’ve often heard patients complain how they’re unable to find a hard brush anymore. While I’m cringing when I hear patients want a hard brush, I am also rejoicing that retailers are not selling them anymore. Education, education, and more education is needed to speak to patients about the risk factors of abrasion and about ideal homecare techniques. Changing the perception of a generation raised on hard brushing and going to the dentist only when something hurts is no easy task. However, for many patients, the brushing and flossing are just the tip of the iceberg. The biggest risk of declining oral health often comes in the form of xerostomia (see sidebar). Adding to the challenge of maintaining oral health is the reason many people take medication - the disease or ailment. As we age, the likelihood of developing at least one condition increases greatly. According to healthinaging.org, nearly 65% of seniors on Medicare have at least two health conditions, and the estimate of those with at least three diagnosed conditions is roughly 43%. Among the most common conditions are diabetes, arthritis, and heart disease. Many conditions impair the salivary function even before taking the medication to treat the disease. The diabetes epidemic has affected all ages, and an estimated 29 million Americans have the disease. For the elderly, diabetes is often non-insulin-dependent, but many can become dependent on insulin to control blood sugar when oral medications are not enough, thus combining multiple medications. Diabetes increases the risk of blindness, kidney disease, nerve damage, cardiovascular disease, and stroke. Nerve damage may mean a person is not able to feel fingertips due to numbness and tingling. Lack of sensation, reduced salivary flow, and possibly uncontrolled blood sugar create a perfect storm for oral conditions to occur. Sjogren’s syndrome affects the whole body by damaging moisture-producing cells. It is caused by an overproduction of white blood cells that damage and clot the glands. Dry eyes and xerostomia are two common symptoms of Sjogren’s syndrome, as are muscle and joint pain. Sjogren’s often accompanies another autoimmune disorder, such as lupus or rheumatoid arthritis, which compounds pain and discomfort. Orally a patient may exhibit a dry and cracked tongue, gingival soreness, sloughing palate, sensitive palate, or an increased caries rate. Dementia and Alzheimer’s disease might be accompanied by admission to a care facility, where oral care is often put on the back burner. My grandmother was in a care facility, and when I visited her I saw the poor oral conditions of residents when I talked with them. I noticed the odor of periodontal disease and the angular cheilitis related to denture wear. Patients in mental decline often do not remember oral home-care routines. Clinically, I often give patients and their caregivers written instructions to serve as a reminder for them. Approximately 39.6% of Americans will be diagnosed with cancer at some point in their lives. In 2016, an estimated 1.6 million new cases were diagnosed, with the most common being breast, lung, prostate, colon, and melanoma. It is estimated that cancer cases will rise to nearly 22 million people diagnosed in the next two decades. Cancer treatments cause xerostomia by damaging the salivary glands and impairing their function, either completely destroying or reducing flow. Chemotherapy dries the oral cavity by making saliva thicker, and it may or may not return to normal two to six weeks after chemotherapy. Radiation may completely destroy salivary function, thus having a lifelong impact on oral health and function. I have watched loved ones affected by cancer struggle through the disease and deal with multiple side effects from the chemotherapy and radiation, including severe xerostomia. Last October one of my favorite patients was diagnosed with breast cancer that had metastasized. She walked into the office to tell me about the diagnosis and her concerns for her oral care while undergoing treatment. She had heard that chemo and radiation would be hard on her oral health and she was proactive prior to starting treatments. I discussed the risks and likely side effects while undergoing treatment and gave her a list of recommended therapies to ease her discomfort due to xerostomia. Throughout her treatment she often didn’t feel well and had oral discomfort due to extreme xerostomia, so she neglected to eat, which made her weaker. Saliva substitutes, mild pastes, and rinses helped ease her discomfort during treatment. How many elderly patients come to their dental appointment and pull out a list of their medications listed on the front and back of the paper? I recently had an elderly lady in my chair whose medication list count was 26, not including over-the-counter supplements, and her health history read like a book. It was no surprise that her chief complaint was an extreme dry mouth and waking with a cotton mouth during the night. Clinically, her tissue was red and dry with thick and minimal saliva, and she had rampant caries. She couldn’t understand why her mouth felt bad and why she had multiple failing restorations. Most patients don’t realize the risk of xerostomia related to medication or how a systemic condition can affect the oral cavity so significantly. She sucked on candy all day to alleviate the dryness, which is a common thread among patients with xerostomia. Often patients with significant illnesses are unable to drive themselves, so they become homebound and no longer see us in a traditional dental setting. Some elderly patients decline mentally and physically, and driving themselves to the office becomes impossible so they rely on family or caregivers for daily services. Finding a ride often feels like a burden, or they just simply don’t remember their prevention appointments. Homebound patients present a different kind of challenge for dental care workers, specifically, how to relay and provide adequate treatment and prevention methods to both the patient and caregiver. Many states allow for some form of extended dental access care, which allows a hygienist to provide care in a nontraditional setting. This care may be the only care available to homebound patients or people in care facilities. Dental workers will often go to care facilities with equipment to provide care and education to patients. Portable equipment, personal lights, and loupes are a must. Xerostomia, missing teeth, decay, dentures, and periodontal disease are common for homebound patients, and knowing how to prevent further damage can be the key to success. For patients with xerostomia, I will initially recommend a prescription-strength high fluoride paste for daily use to prevent decay. For some, the best choices may be fluoride trays to wear at home, an extra soft brush, and a mild rinse. A power brush is a necessity for most patients, especially those with periodontal disease or arthritis. For those with arthritis, the larger handles and brush mechanisms can make their routines easier and more effective. The pain and discomfort of dry oral tissue affects eating and speaking to the point where patients avoid meals, which can lead to malnutrition. Some of the most recommended products in my office to combat xerostomia include a saliva substitute, as well as products to increase saliva flow, such as Biotene. This has a mild flavor, provides quick relief, and is available in paste, spray, and a rinse. I try to find products that work best for each patient, which leads to compliance. Silver diamine fluoride has recently caught the attention of many hygienists and has been shown to effectively arrest small carious lesions. It is usually applied twice, a week apart, and will turn the carious lesion black. The patient should be informed of staining, but it has been shown to be effective in reducing caries and dental emergencies. Fluoride should be professionally applied to patients with known xerostomia risks to reduce caries and sensitivity risks. For patients who rely on candy, recommend replacing it with saliva-inducing lozenges that will not cause decay. Watching family, friends, or patients suffer from health ailments is hard to endure. The ability to recognize those affected by xerostomia and offering therapies can not only provide comfort, but an ounce of prevention. A few of my patients come to mind while I write about homebound patients and severe xerostomia. One is a man who had a stroke. He is completely nonverbal but cooperates when asked. He is able to walk; however, he can no longer complete any self-care activities and must have a caregiver at all times. I’ve worked extensively with his wife and caregiver to adapt a plan to provide the best home-care possible now that he is in a care facility. He is periodontally involved, so he has been seen every three months since the stroke, and he uses a high fluoride paste, xylitol products, and power brush. He deals with severe xerostomia and his wife brushes for him as much as he will allow, but that is the extent of his home care. He will not allow flossing but will allow me to scale and use the ultrasonic every three months. The other patient is homebound and can walk with assistance; however, he has no feeling on his left side. But thankfully his mental cognition and personality have not been affected. He has no sensation of his left side and the salivary function of the left parotid gland has been greatly affected. Light calculus is present on the right side of his mouth; however, his left side presents with approximately 2 mm of solid calculus on all surfaces, including the occlusal. It has been perplexing to see 2 mm to 4 mm pockets on one side of the mouth with 3 mm to 7 mm on the other, largely due to the salivary dysfunction. It shows the power of saliva for buffering, hydrating, and reducing periodontal and caries risks. According to the Academy of General Dentistry, 90% of xerostomia cases are related to medication use. With such a staggering number, remember that many people, not just the elderly, take multiple medications each day. Knowing that adequate saliva flow is necessary for speaking and eating, not to mention caries and periodontal disease prevention, it’s no wonder dental offices are busy places. The most common medication culprits contributing to dry mouth include drugs for hypertension, arthritis, depression, asthma, and Parkinson’s disease, as well as muscle relaxers, sedatives, antihistamines, and painkillers. Not all medications will have the same side effects for every person; however, combining drugs can contribute to an increased risk of dry mouth complications. August 23, 2017 -- With the transmission of the Zika virus a concern in 70 countries, including the U.S., an accurate, quick, and cost-effective test is needed to see if a patient has contracted the virus. A saliva-based test may be effective, and dentists may play a key role in the future surveillance and detection of the virus, according to a study and commentary published on August 21 in the Journal of Dental Research. Canadian and Brazilian researchers may have found an effective saliva test to detect the Zika virus. They used the saliva from a pregnant woman infected with Zika and from her twins to identify the specific protein signature of the virus. This may lead to an effective means of testing whether patients have been exposed to the virus. The lead author was David Zuanazzi, DDS, a doctoral candidate from Schulich Dentistry and the department of biochemistry at the Schulich School of Medicine & Dentistry at the University of Western Ontario in Canada. The Zika virus first spread to North America in October 2013 and was declared an international public health emergency by the World Health Organization in 2016. While the primary vehicle for its spread is the Aedes aegypti mosquito, other transmission methods include intrauterine, sexual, and blood routes. This virus is associated with birth defects, growth and developmental anomalies, and some motor neurological manifestations in adults. Currently, blood tests are used to look for changes in a patient's RNA to diagnose Zika. However, this method can only detect the virus up to five to seven days after exposure, and after that period the test is not useful. On the other hand, saliva-based tests can detect the virus far longer after exposure. In the current study, a 25-year-old woman in her first trimester of pregnancy was diagnosed with a Zika virus infection. She gave birth to twins six months from infection onset. One baby was diagnosed with microcephaly and the other without the condition. Saliva samples were collected from the mother and the twins three months after the children were born. The patients had no signs and symptoms related to Zika virus infection when the saliva was collected. The researchers also collected saliva from two healthy Brazilian babies of similar age as a negative control group. They used a form of mass spectrometry to analyze all the saliva samples. In their analysis of the samples, the researchers found a total of 423 unique Zika virus peptides in the mother, 607 in the child with microcephaly, and 183 in the child without microcephaly. However, they found no signs of Zika peptides in the saliva samples of the children in the control group. An "extraordinary number of identified peptides" were detected in the mother's saliva at nine months following acute infection, the study authors wrote. The study findings could have a positive impact globally, according to William Giannobile, DDS, DMSc, editor in chief of the Journal of Dental Research. "This research has the potential to positively impact global health," Dr. Giannobile stated in a press release by the International Association for Dental Research (IADR). "By detecting the virus, the infected individuals can have their symptoms and the virus progression properly monitored, as well as take action to stop the spread of the virus, which causes these devastating craniofacial defects in newborns." The researchers have received a provisional U.S. patent to develop a simple device that can be used to identify the Zika virus peptides in saliva outside of the laboratory, the IADR noted. The main challenge of diagnosing the Zika virus is its similarity to other viruses, such as dengue and yellow fevers, according to Jaime E. Castellanos, OD, PhD, of the National University of Colombia dental school in Bogotá. 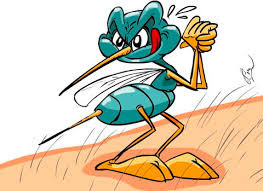 Most current tests for Zika virus could also be positive in patients with dengue fever, which makes diagnosis difficult, he noted in a commentary accompanying the study. "The strategy of detecting Zika virus peptides/proteins in unprocessed saliva samples using mass spectrometry provided a sensitive diagnostic system that, in addition to virus identification, permitted the analysis of the amino acid sequence and the possible phylogenetic relationships between the identified viruses in the trio family," Dr. Castellanos wrote. In addition, he pointed out that the role of dentists in diagnosing the Zika virus has not been fully recognized. "In many countries, people have closer and more frequent contact with the dentists than other healthcare providers," he wrote. "Dentists should know about the possible presence of Zika virus in blood and saliva and take appropriate precautions to prevent transmission." When further studies validate the results of using saliva to detect the Zika virus, dentists will play an active role in developing diagnostic tests, according to Dr. Castellanos. 50 or Older? What You NEED to Know About Your Dental Health! People are now living longer and healthier lives, and older adults are more likely than ever before to keep their teeth for a lifetime. 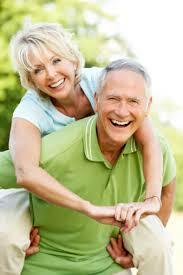 However, research has shown that older people also have the highest rates of periodontal disease. In fact, at least half of people over age 55 have some form of periodontal disease, and almost one out of four people over 65 have lost all their teeth. these medical conditions or if you have a family history of disease. physician to ensure that you’re receiving appropriate care. Maintaining your oral health should be a priority at any age. which may help symptoms of menopause.